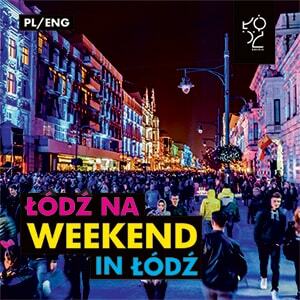 Łódź Tourist Organization would like to invite everyone to participate in their new project – 2018 Łódź Free Summer Walks with an English speaking guide! This offer is addressed to all those city residents who do not speak Polish, but are very keen to explore the most interesting town in Poland! The purpose of 2018 Łódź Free Summer Walks is to help all non-Polish speakers who decided to come to Łodź to show them the beauty of the city situated in the heart of the Poland as well as the facinating history of this multicultural town, that is often reffered to as The City of Four Cultures. We would like to make every participent of summer strolls familiar with the term „Promised Land”, first used in the novel of Polish Nobel Prize Winner writer, Władysław Stanisław Reymont and now seems to be the best description of the Creative City of Film as well as Modern Art that Łódź definitely is. 2018 Łódź Free Summer Walks start on Saturday on June 30 at 11 AM at the Main Gate of Manufaktura (Ogrodowa St.) and will continue through the whole summer up to 1st September every Saturday. What is more, during the B’day of Łódź (July, 27-29) additional strolls will take place on Friday and Saturday, also beginning at 11 AM. – stroll down the Queen of Polish Streets, Piotrkowska, where – at the Tuwim Bench – a commemorative picture of participents will be taken. All walks are free! The funds are obtained as part of regranting program in the field of tourism and sightseeing, which is operated by the Development Initiative Center “Regio”. 30.06., 7.07., 14.07., 21.07., 27.07., 28.07., 29.07., 4.08., 11.08., 18.08., 25.08., 1.09. If you want to see Polish past – go and see Cracow. If you want to see the Polish present day – go and see Warsaw. But if you want to see Poland of Future – you need to see Łodź.